NAPLES, Fla.- The Holocaust Museum of SWFL is remembering the 70th anniversary of the liberation of the Auschwitz Concentration Camp. The Holocaust Museum is screening a documentary called, “We Testify,” to honor the 1.1 million Jews and other victims who were murdered at Auschwitz. The documentary tells the story of the Holocaust through five local survivors and one liberator. Ten years ago, the United Nations established January 27 as International Holocaust Remembrance Day. “That’s the most widely recognized camp. 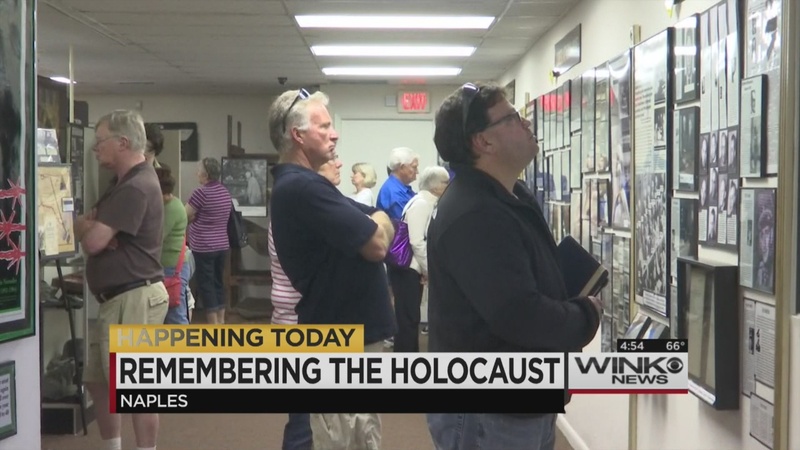 Its the one people know about and so it makes sense to make the remembrance day on that anniversary and that’s today,” said Executive Director of the Holocaust Museum of SWFL, Amy Snyder. On average, the Holocaust Museum has about 70 visitors a day during season. Tuesday, they had 65 visitors by early afternoon.